Looking for some new favorite cocktail recipes for football season? 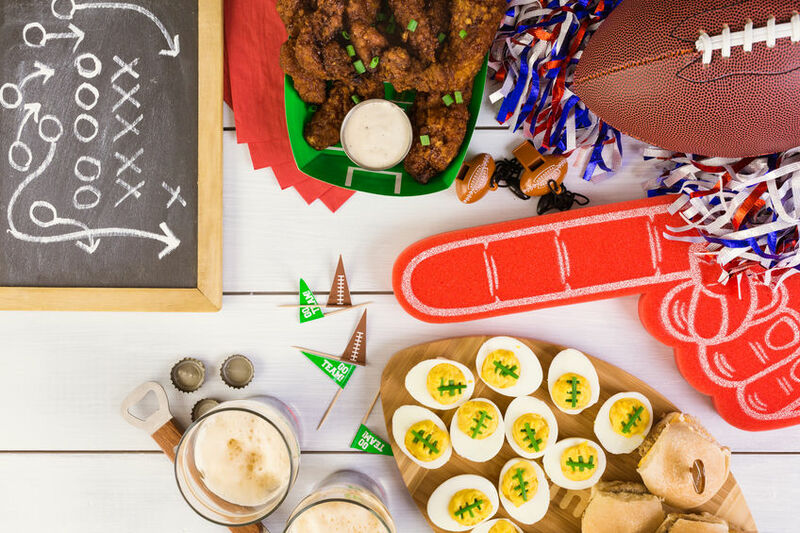 Football season calls for seven-layer dip, pigs in a blanket, and your favorite brews. However, some crowds are better suited to cocktails. How do you handle that situation without a bartender on staff? You need delicious, big-batch drink recipes that will keep the crowd satisfied. Sparkling white sangria is a refreshing summer pick-me-up cocktail, while its red cousin feels more like a cozier fall version. Whatever season you make red sangria, use fruit that is local and in-season. For your next football party, try diced apples and pears with sliced lemons and oranges. Slice half a lime and half an orange; squeeze the other half of the orange’s juice into the pitcher. Add everything but the ice and mix. Refrigerate for a few hours before the party kicks off. This gives the flavors time to blend and develop. This ginger-based beverage has made a major comeback in the last few years. And because it’s traditional to serve them in copper mugs, these cocktails feel a little more autumn-appropriate than most others. Squeeze the lime wedge into the mug. Drop in the lime wedge and toss in ice cubes. Add vodka and ginger beer and stir. 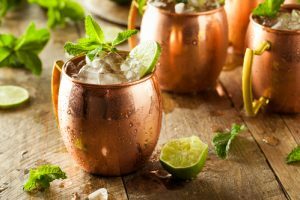 Moscow mules are a popular and versatile drink. For a lower-alcohol mule, use ginger ale instead of ginger beer. Not a fan of vodka? Swap it out for bourbon, and you’ve got a Kentucky mule instead; don’t forget to garnish it with a few mint leaves. If you have invited beer drinkers and margarita lovers to your next football party, meet them in the middle and make beergaritas. These hybrid drinks are cheap and easy to make, and they are delicious. One batch will go a long way to keep your guests’ thirst quenched. Mix the liquid ingredients. If you want frozen drinks, throw it in the blender with ice. If not, serve the drink mix over ice. For extra points, salt the rims before pouring. Just run a lime wedge around the rim and dip the moistened rim in margarita salt. With drinks like these on hand, nobody will care much about how their team does this season. It will be all about enjoying the time with friends and loved ones on their beautiful deck. We hope these favorite cocktail recipes for football season will become some of your favorites too. 3 Tips For Grilling on Your Deck This Labor Day Weekend!